The Hawaiian Question: Does Pineapple Belong on Pizza? Pictured above, Sardella’s Angry Hawaiian. The source of the pineapple pizza debate started in 1962, when the first known “Hawaiian pizza” was made by Sam Panopolous in Chatham, a suburb of Toronto in Canada. At that time, “Polynesian chic” was in, with places like tiki bars being a thing everywhere from Los Angeles to New York. Panopolous was basically experimenting and stumbled onto the combination by accident. The happy accident became incredibly popular and quickly spread to pizza joints everywhere. Since that time, pineapple has become commonplace on certain pizzas. The problem is that not everybody likes it. According to a Harris poll conducted last year, some respondents put pineapple as the third least liked pizza topping available, after anchovies and mushrooms. Other respondents put pineapple as the eighth most liked pizza topping, tied with ham (its traditional partner on a Hawaiian pizza). While the favored ranking is not as high as, say, pepperoni, it’s still telling that it made the top 10 on both lists. 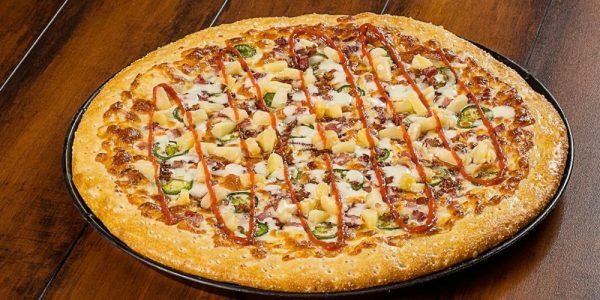 Given the contentious position pineapple holds as a pizza topping, it seems inevitable that there are going to be arguments from local pizza parlors all the way to the halls of power. Both proponents and detractors of all walks of life hold powerful feelings about the tropical fruit’s presence on a pie. Iceland President Guðni Th. Jóhannesson caused something of a furor when he jokingly stated that if he had the power to pass laws on his own, he’d ban pineapple on pizza. We at Sardella’s aren’t going to dictate to your palate when making pizza in Phoenix. We’ll make a pizza with what you like on it and we promise that it will be delicious! Visit us today at any of our four locations across the valley.